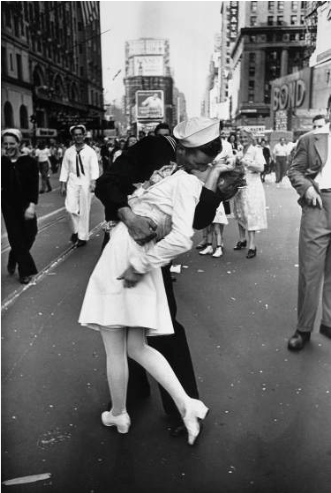 Being one of the most historical photographs taken on August 14th, 1945, “The Kiss” was an instant American favorite. On Victory Over Japan Day (V-J Day) in Times Square, New York City, thousands gathered to celebrate the long awaited Allied victory of the second World War. Alfred Eisenstaedt took the photograph with a Leica IIIa camera. It would appear in Life magazine in the August 27th, 1945 issue along with various photographs depicting the celebrations that took place in Times Square that August day. I acquired the image via screen shot (portable network graphics image, 204 KB) of “The Best of Life: 37 Years in Pictures” on the Time website. The image appears to be slightly pixelated due to the time period and the quality of the camera. Nevertheless, I think that the faults in the quality contribute to the character of the photograph. My search criteria included, “Iconic images of the 20th century”. Rightfully so, it is apparent that this photo holds much meaning for Americans. I chose this photograph because it resembles a moment following years of destruction and remorse. A moment wherein all weight was lifted off the shoulders of Americans across the country. Seldom do we experience these moments where absolutely nothing in the world matters except for the moment at hand. Apparently George Mendonsa, the sailor in the photograph, was experiencing the same type of euphoria. After further investigation into the story behind the photo, George was on his first date with his future wife, Rita, the day this picture was taken. However, Rita was not the woman in the white dress he was kissing. While watching a film with Rita at Radio City Music Hall, the showing was halted after someone barged in announcing the surrender of the Japanese. Everyone fled the theater and filled the streets while bartenders had lined up mugs all along the bars and kept pouring. George recalls going to Child’s Bar just down the street. They then made their way to Time Square where George saw a group of nurses. He then had a flashback to his duties in the Pacific when two Kamikaze pilots crashed into a neighboring naval ship. Afterword’s he watched various nurses’ work on hundreds of injured men. He spontaneously ran from Rita, grabbed the first nurse he saw, dipped her and kissed her. Rita does not resent the kiss till this day. George says he was so drunk he does not even remember the kiss. Greta Zimmer, the woman in the white dress, however, was not in fact a nurse. She was a dental assistant from Queens who made her way over to Times Square after the news of the surrender. Greta was actually born and raised in Austria, and was one of the last refugees to flee to America. Both of her parents died in concentration camps. After learning about the authenticity of this photograph, it has changed the way I interpreted its meaning. As many Americans would initially assume, I felt it resembled a celebration of a long awaited reunion between a soldier and his love. With the authentic history now at hand, I look at this picture as collaboration between countries. An American soldier, protectively taking into his arms an Austrian runaway. Whether it is fate or chance, I stand flabbergasted regarding the identities of the two pictured. Without the alliance of countries across the globe, the celebration that took place on August 14th, 1945 may have just been another day on the busy streets of New York. I chose this image because it was stood out to me since the first time I moved to San Diego. I visited the USS Midway on Harbor Drive where I saw a rendition of Seward Johnson’s “Unconditional Surrender” statue, resembling the iconic kiss. It has always been one of my favorite locations in San Diego. Even though my meaning of the statue has changed, I feel as if I gained an even greater appreciation for “the kiss that ended the war”. On my way home class this week, I noticed a large gathering of people shouting and holding up signs, apparently protesting against something, so I decided to check it out. “Lucha por 15”, their shirts and banners read, “Fight for 15”. This is referring to raising the minimum wage to $15 an hour. As I walked by I heard someone say, “This reminds me of the work MLK did!” Whether I agree or disagree with this person’s statement, or the movement in general, I could not help but relate the protest to the civil rights movement as well. Seeing hundreds of people united for a cause did in fact mirror several movements that we have studied in class including the civil rights movement, women’s rights movement, and the anti-war campaign. Seeing people unified such as this reminded me how powerful a group of people can be when they put their heads together and fight for a cause. Talking about the Civil Right’s Movement made me think about a documentary I recently watched on HBO called “Living With Lincoln”. It is about the Kundhart family, whose great grandfather was the first collector of Lincoln photography during the time he was alive. The family just published their entire collection of 73,000 plus iconic photographs and journals from Lincoln’s time that gives us much more detail about his death. It made me wonder if the civil rights movement would have occurred earlier in history if Lincoln was never assassinated. In this week’s lecture, Professor Putman was talking about fallout shelters during the Cold War that were supposed to be used in case of an atomic fallout. Interestingly enough, there happened to be one underneath a shopping center near our neighborhood. 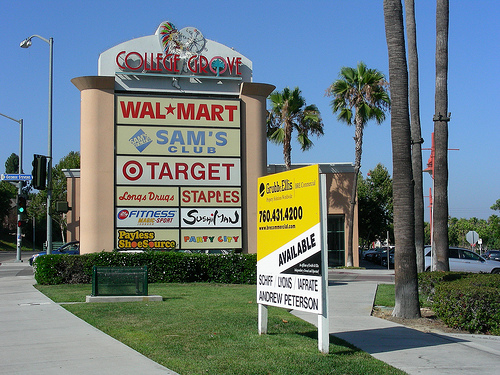 It was used for delivery trucks and storage for the businesses in the shopping center, but was made ready for occupation in case it was needed. This made me think about how history haunts us because I have shopped here numerous times and never once thought about the history right underneath our feet! In a statement to the United States Senate, Ronald J. Daniels, current President of Johns Hopkins University stated, “We created modern medical education, with its synthesis of research education and patient care, and we are the home of the first research based school of public health.” Before the 1900’s, medical schools in the United States were sub par to say the least. The only requirements to attend medical school were the ability to read and write. Most medical students studied at trade schools, which were profitable institutions. 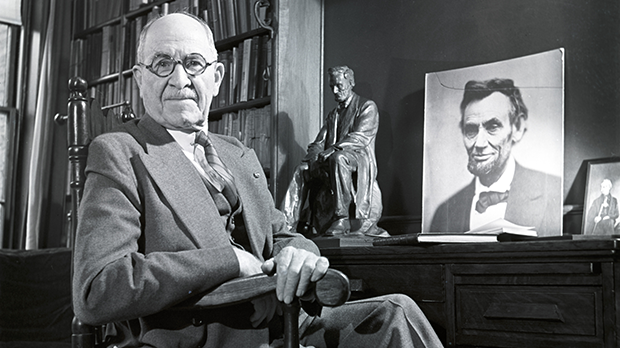 Upon the opening of the Johns Hopkins Hospital and the School of Medicine, Hopkins redefined entrance requirements and shaped an upgraded medical school curriculum that would change the pace of medicine in the United States for centuries. This was the first time in history that medical school included a collaboration between bedside teaching and laboratory research. This weekend was a very special weekend for my family and me. 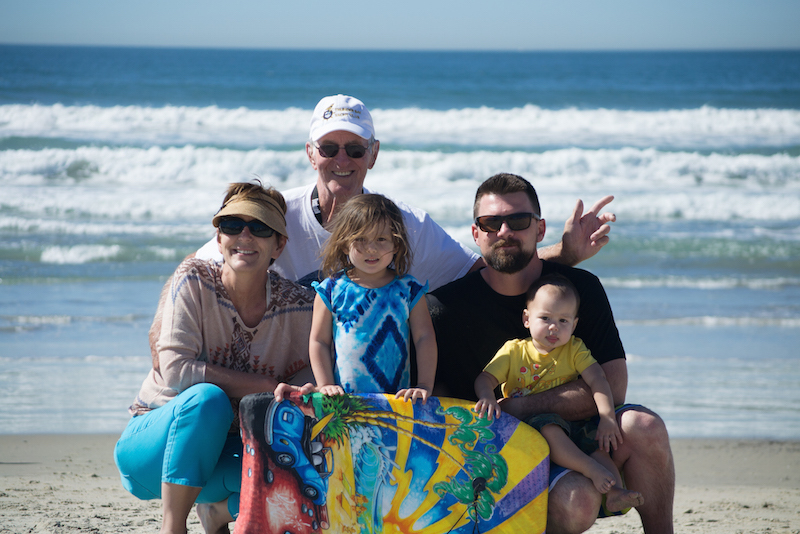 For the first time in my family’s history, all four generations, from great-grandparents to great-grandchildren were able to gather in San Diego for a weekend full of fun and relaxation. Seeing all of my family in one gathering made me realize how we as descendants of our elders are living history of the life experiences and decisions that our family before us has made. Whether some experiences were made accidentally or on purpose, there were made. We are a mold of what our ancestors raised us to become and that, is living history.